For how long do I have to sign up with Teacher Guardian? Our membership plan is simple. Monthly members pay $30/month and can drop their plan at any time. Annual members pay $300/year ($25/month) and can also drop their membership at any time and receive a prorated refund. Don’t I Need My Union to Represent Me? Your local union’s duty to represent you is limited to the collective bargaining agreement. If you are not a union member, the union cannot discriminate against you when bargaining a contract and they also have to consider your complaints against your employer if the issue arises from a violation of the union contract. However, individual representation for personnel matters, investigations, disciplinary cases, or teacher credentialing is not likely to be provided by the union to a non-member. Teacher Guardian, however, solely focuses on providing YOU with individual representation for all those issues that affect you personally. Teacher Guardian will also review any potential violations of the collective bargaining agreement and guide our members in how to present the issue to their union and their employer. Do You Offer Liability Insurance? 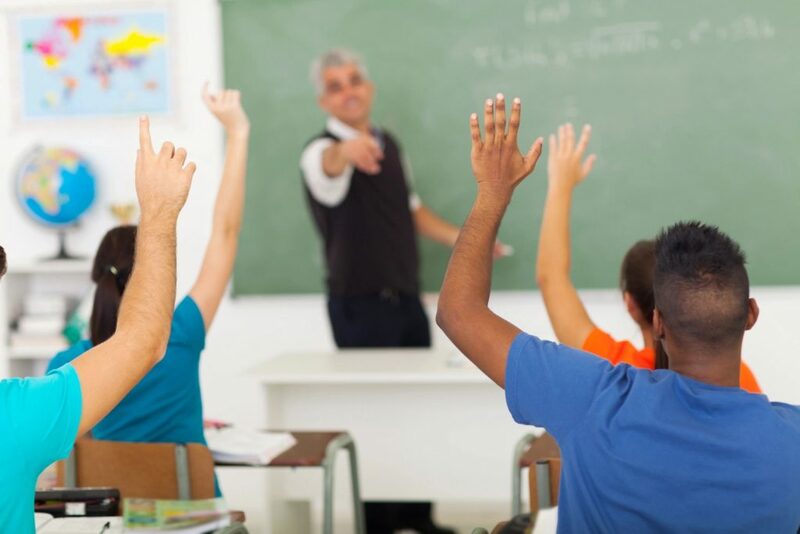 CTA and other educational organizations offer an educator employment liability program that promises coverage for legal fees and damages from claims arising out of their members educational employment activities or duties. However, these policies rarely pay out and are full of exceptions and carveouts. Plainly, if you are individually named in a civil suit from an incident arising out of your educational employment, your EMPLOYER has a duty to indemnify you and provide representation – and the employer (and their insurance carrier) is almost assuredly also named in the lawsuit. Furthermore, if your actions fall outside the scope of employment (such as if you committed a criminal act), not only will your employer not provide you with individual criminal representation, but neither will the liability insurance policy. There is a reason why these policies are provided free of charge to organization members: the policies are very cheap because they rarely ever have to pay out. In sum, Teacher Guardian believes that these teacher professional liability policies are not a significant added value to our members and we have chosen to not pretend to provide a liability insurance product that almost all of our members would never use. Will Teacher Guardian Bargain with my employer? Teacher Guardian is an individual representation service. If you are employed by a school district or charter school that has recognized CTA or another union as the exclusive representative of the teachers in that district/school, then only that recognized union/employee association can collectively bargain for wages, benefits and working conditions on your behalf. The union/employee association has a duty to represent you and every other member of the certificated/teachers unit fairly and without discriminating against those that choose not to remain or become members. Teacher Guardian will represent you in personnel matters, investigations, disciplinary cases, and teacher credentialing, as well as advise you with respect to situations that may arise relating to your contractual relations with your employer; however, Teacher Guardian is not a union or employee association and cannot bargain with your employer with respect to wages, benefits or working conditions. When Can I sign up with Teacher Guardian? At any time. Teacher Guardian membership is a rolling membership and either renews monthly or annually depending on how you choose to sign up. There is no window of time in which you must sign up and there is no limitation as to when you can opt to terminate your membership. What is Covered by Teacher Guardian? Investigations initiated by your employer – whether the subject or a witness, Teacher Guardian will provide advice and guidance through the process, including representation at investigative interviews by an attorney. Disciplinary matters – full representation from member contact about an incident, to the initial notice of investigation and investigation, all the way through a full evidentiary hearing. Teacher credentialing – full representation from the notice of an investigation through an appeal hearing. Performance evaluations – assistance in drafting rebuttals and/or seeking greater redress if administrators are being discriminatory or not following policies or statutory rules. Personnel matters – direct access to labor professionals and attorneys for advice, guidance and support on any number of personnel matters that may arise. No limits on access to Teacher Guardian’s staff and attorneys. No out of pocket fees to be reimbursed. No layers of administrators to review and approve your concern before you get to talk to an attorney. What is NOT covered by Teacher Guardian? As explained in other questions, Teacher Guardian is not a union and is not involved in politics. Thus, we will not be able to bargain with your employer over your pay, benefits and working conditions. Teacher Guardian is also limited to matters that arise out of your employment as a California educator; issues that arise from your personal life or from another employment are not covered, though Teacher Guardian will often provide limited support to all members and Teacher Guardian members are eligible for reduced rate legal representation for matters outside the scope of Teacher Guardian. Matters that arise out of incidents that took place within the six months prior to becoming a Teacher Guardian member will not be covered, though members will be eligible for reduced rate legal representation for those matters. Incidents that took place more than six months prior to becoming a Teacher Guardian member and which the member had not been informed of a pending investigation or action will be covered by Teacher Guardian. Defense of criminal charges, even if stemming from your employment, is not covered by Teacher Guardian. However, Teacher Guardian will provide legal representation for criminal investigations arising out of the member’s educational employment and members are eligible for reduced rate legal representation should criminal charges be filed against the member.